Just say NO to pH pens and monitoring equipment — Advanced Nutrients pH Perfect Technology is here! 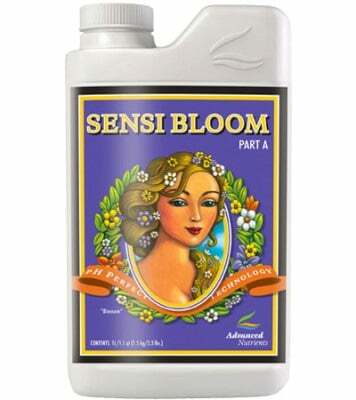 Sensi Bloom is the AMAZING 2-part base nutrient you can absolutely count on during the all-important flowering phase. 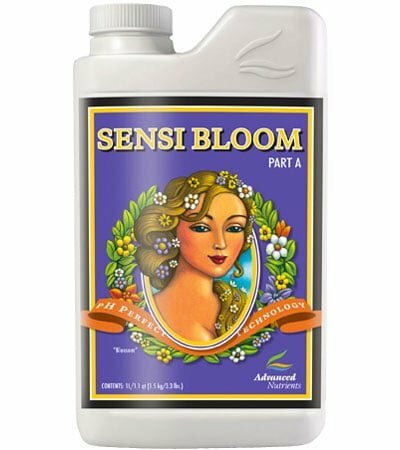 Use pH Perfect Sensi Bloom when you want the best for your high-value plants… it gives them the solid foundation they need for rewarding floral development. Price listed is for Part A and Part B sold separately. • Balances your pH automatically — throw away those pesky pH meters! Available in FOUR convenient sizes. 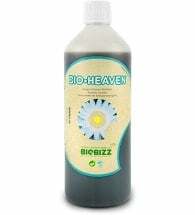 Works with ALL hydroponics, soil or sphagnum growing mediums and all hydroponics, aeroponics, drip irrigation, NFT, ebb and flow and continuous liquid feed growing systems… or your money back! 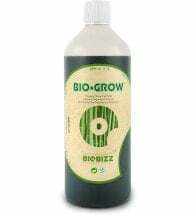 Use 4 ml per liter during weeks 1 through 6 of your flowering phase. With pH Perfect Technology, you’ll never have to worry about pH levels again! Which means you’ll never have to manually adjust your pH or worry that your plants aren’t in the perfect growing environment. 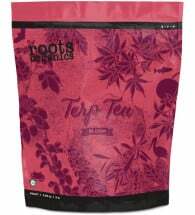 Formulated to speed up the flower cycle and improve the uptake of minerals. 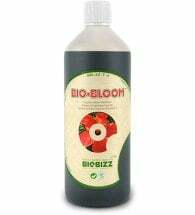 Contains the essential elements required for fuller, bigger, more beautiful flowers.